Select a background size which is big enough to hold all your workpieces. This is not the paper size in your printer. Click OK to generate the layout. If you get an error that the size isn’t big enough to hold your largest workpiece, then pick a larger background size. 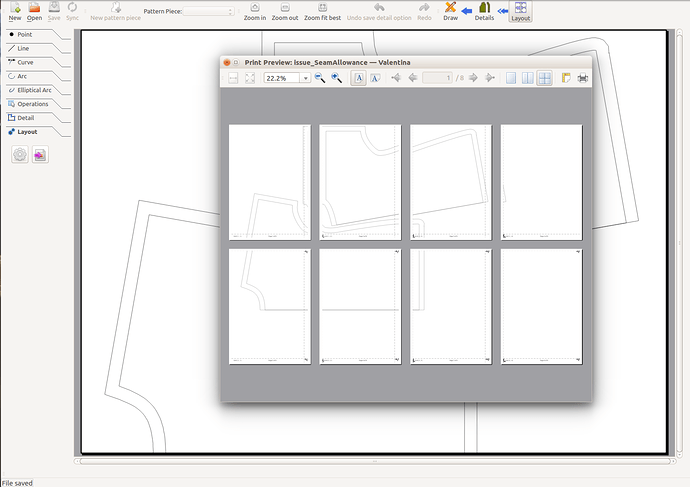 Select File/Layout/Preview a Tiled PDF, then select the multitile icon to see all the paper pieces. Click OK to print to your pinter.